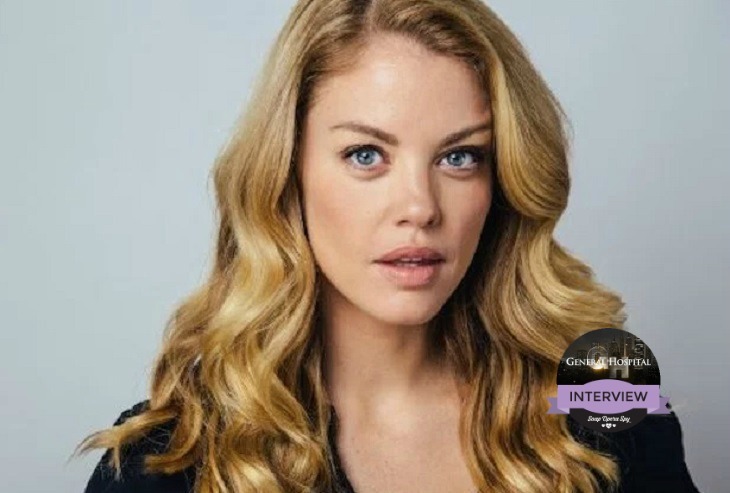 “General Hospital” Bree Williamson talked with On Air On Soaps about her debut as Claudette, Nathan West (Ryan Paeavy), and coming back to the daytime soap opera world. Last week, Claudette showed up in Port Charles, and many GH fans saw that her character could be a great addition to the cast. Claudette has a clear agenda with Nathan, and is more than willing to sink her claws into her EX, and getting under Maxie Jones’ (Molly Burnett) skin is just a bonus. Claudette’s history with Nathan is incredibly complex. So far, we know that she was having an affair with Father Griffith Munro (Matt Cohen), and it led to an epic showdown. Now, Dr. Munro and Claudette are both in Port Charles, and it will lead to nothing but fireworks—that much the fans are sure of right now. Related: ‘General Hospital’ JaSam – Where do Sam and Jason Go From Here? Williamson explained that she had been blown away by the fans support even though she stepped away for a few years. Upon arrival on the scene, they were outspoken with their support of her and vouched for her talent as an actress. She said there is nothing like being adored by the soap opera fans. Bree teased that Claudette’s story is just beginning. She will be a thorn in Nathan’s side as she sinks her claws in him, and when she discovers that Griffin is no longer a priest, she will be blown away. Even though most “General Hospital” fans believe that Claudette is evil. It will turn out to be much more complicated. She just wants to make things right with Nathan and let him know that she is sorry for betraying him with Griffin. Get Exclusive Bree Williamson News & Updates! ‘The Young and The Restless’ POLL: Chancellor Mansion Restoration – Do You Want Katherine’s House Back? VOTE!